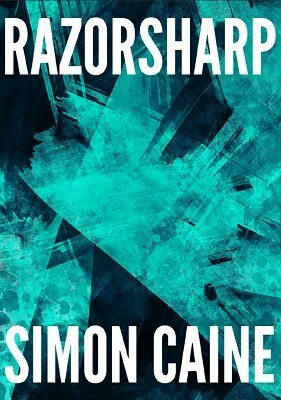 Razorsharp is a collection of practical, powerful and entertaining mentalism routines using the simplest, most direct methods. With not a center tear in sight, these routines are designed to be easy to perform whenever, wherever, and whatever the circumstance and deliver the hard hitting moments of mystery your audiences deserve. Crammed with audience tested effects, fooling subtleties and techniques made for the real world, this is modern mentalism that will surprise, inspire and excite you. Two Out of Three Will // A few games of Which Hand turn into an impossible display of subliminal influence. Copperhead // A participant is able to guess the coin held in your fist, even whether it shows heads or tails. A perfect impromptu ice breaker. Multiplex // A double drawing duplication using nothing but an unprepared stack of business card, a pen and a devious subtlety that'll go straight into your toolkit. This is a real close up killer. Principia // This is a reputation maker. Two thoughts are written and mixed up. A participant destroys one and isolates one. You go nowhere near either card, and still you read two minds in the cleanest manner imaginable. Rogue // A participant hypnotised and temporarily given the power of a photographic memory. After looking at the faces of a shuffled deck for only a moment, they become able to flawlessly find cards face down again and again and again. Telegram // You genuinely close your eyes. A participant thinks of a card, shuffles a deck and hands it to you. Not only are you able to stop at the card they are thinking of, you can name it as well. Meridian // On a single business card, you write a prediction, and a participant makes a series of genuinely free and secret choices of different ESP symbols. Every single time, the prediction perfectly matches the choices made. Espair // You attempt to influence a participant's thoughts through a series of 50/50 choices, and even if they feel like they're able to resist, you prove that you knew exactly what they would do from the very beginning. A weird little miracle. 1st edition 2017, 56 pages.